Jerry Del Colliano is a team trainer, teacher, author and recognized expert in generational motivation. Jerry Del Colliano is a nationally recognized expert on how to motivate the next generation. He pioneered new age techniques for team building as a Professor at The University of Southern California. Jerry has been interviewed or quoted on network television and radio, business and consumer newspapers and magazines as well as online publications. Jerry’s motto is: “The teacher and the taught together do the teaching”. Conducts seminars for sports, business, social and civic groups. 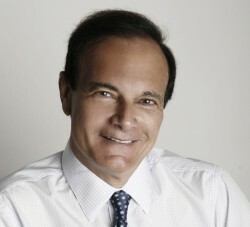 Clinical Professor and Director of Executive Programs, University of Southern California (2004-2008). Writer of the book, Out of Bad Comes Good — The Advantages of Disadvantages published by Morgan James. Taught How To Win Friends & Influence People. Publisher and editor of Inside Music Media focused on music, broadcasting, social networking, video, streaming, podcasting, publishing, generational media and the sociology of technology. Publisher and founder of Inside Radio, a respected broadcasting trade publication. Program director for two major market Philadelphia radio stations. Air talent at five Philadelphia radio stations. News reporter and on-air talent at Channel 6 in Philadelphia, the ABC affiliate. B.S., Temple University School of Communications, Philadelphia, PA.
Jerry’s comments appeared hundreds of times over the years in numerous newspapers, business magazines, television networks and regional as well as local news publications and wire services including CNN, ABC, CBS, NBC, The Wall Street Journal, The New York Times, The Washington Post, The Chicago Tribune, The Philadelphia Inquirer, The New York Daily News, Forbes, Fortune, Newsweek, People, Rolling Stone, Columbia Journalism Review and ABC 20/20 among others.